From the very beginning, Wes Anderson had a distinct talent and voice. In his first film Bottle Rocket it’s there in nascent form and it fully blooms in his next effort, Rushmore. The obsessive symmetry, the deadpan humor, the tidy visuals, the mood-setting 60s pop songs, it’s all what we have come to recognize as a Wes Anderson picture. But without a few strokes of luck in his 20s, his career could’ve played out differently. As I’ve been reading through Matt Zoller Seitz’s The Wes Anderson Collection, a treasure-trove of essays, pictures, drawings, and interviews from Anderson’s career thus far, one of my big takeaways has been Anderson’s good fortune in meeting the right people early on. You can picture this scene. Owen Wilson, the affable and outgoing goofball, approaching the more reserved Wes Anderson with an assumption the two would become fast friends. In the next few years, they would begin writing and shooting their first film, Bottle Rocket. They released the short in 1994 and then the feature-length movie in 1996. In it, Wilson plays Dignan, an ambitious small-time crook who plans a robbery with his friends. It’s clearly evident from Bottle Rocket that Wilson should be a star. He has that magnetic charisma that only people born to be on screen possess. It’s hard to believe it’s his first role. How lucky for Anderson that he had such a talent collaborating with him from the start. Before long, Wilson would become a full-fledged comic movie star, recognized more for Zoolander, Meet the Parents, and Wedding Crashers than any of his roles in Anderson’s films. When you’re an unknown trying to get your movie made, even more important than a captivating star is a well-respected Hollywood producer who can make things happen. For Wes Anderson, that was writer-director James L. Brooks, who had been Oscar-recognized for his films Terms of Endearment, Broadcast News, and As Good as It Gets. Anderson and the Wilsons met Brooks through a friend of a friend of a friend, and the Hollywood vet clearly saw something in their little indie project. Brooks’ movies are nothing like Anderson’s, but that didn’t seem to matter to him. He did everything he could to get their movie made — and made it was with Brooks as executive producer. Even though Bottle Rocket didn’t get into any festivals, it at least had the chance to see the light of day. Without Brooks, there’s no assurance that ever happens. Who knows how Anderson and the Wilsons’ careers change if they can’t get their first project off the ground. Who knows why the immortal Bill Murray does what he does. The man is a national treasure who cannot be questioned. But I think even Wes Anderson wonders why Murray agreed to be in his second film Rushmore in 1998. Once on set, the two men clicked and began a long working relationship that has bolstered both of their careers (Murray’s been in every one of Anderson’s films since). Murray was able to tap into the kind of comedic, yet melancholy sad-sack role that has defined his older years. For Anderson, he’s been lucky enough to be connected to a comedy legend for almost his entire career. By the time he made The Royal Tenenbaums, just his third film, it seemed like every star wanted to be in a Wes Anderson picture. In addition to Owen and Luke Wilson and Bill Murray, that film featured Gene Hackman, Ben Stiller, Gwyneth Paltrow, Danny Glover, Anjelica Huston, and Alec Baldwin. He had officially arrived. 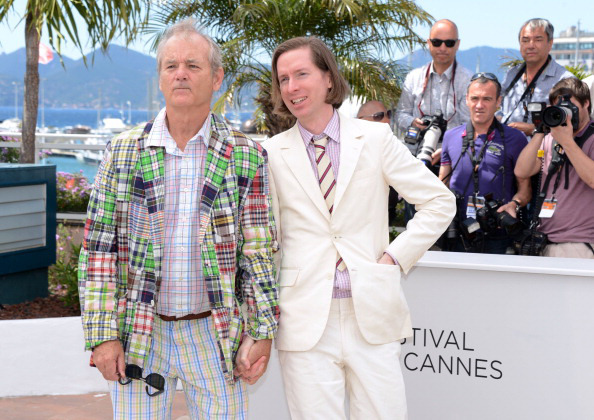 The point of this is not to claim that Wes Anderson is some lucky hack. If Anderson didn’t show serious talent and promise at such a young age, the Wilsons, James L. Brooks, and Bill Murray wouldn’t have believed in him the way they did. To me their help just highlights the fact that even the most singular-minded filmmakers, the ones that seem born to make movies, still need quite a push before they get going.